The Second Day of Turtles…Follow along! 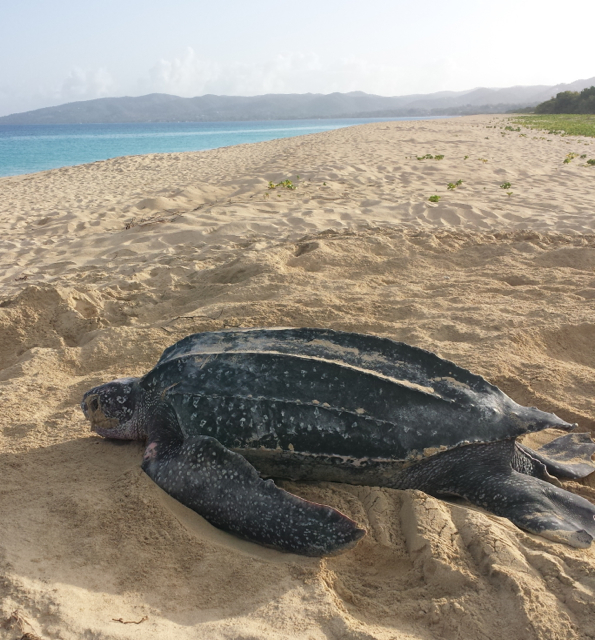 One of the easiest ways to be involved with the St. Croix leatherback project is to follow along with us as we report from the field studying these amazing turtles. We love to share our discoveries and stories with you – about the turtles, about our research team, and about turtle conservation in real life. … More The Second Day of Turtles…Follow along! Leave a comment The Second Day of Turtles…Follow along! First Day – Twelve Days of Turtles! Welcome to our Twelve Days of Turtles! For the next twelve days, we’ll share with you how to get involved with the St. Croix Leatherback Project, and practical ways for you to help sea turtle conservation around the world. Today is the First Day – it’s Giving Tuesday today and Facebook and Paypal are matching … More First Day – Twelve Days of Turtles! Leave a comment First Day – Twelve Days of Turtles! One week until Twelve Days of Turtles! In just one week – after all the food, shopping, visiting, family and travel – comes the kickoff to the holiday giving season.. #GivingTuesday! This is a global movement for the day after Cyber Monday (in the U.S.) when we can think about how we can give to others and help the causes we believe in. … More One week until Twelve Days of Turtles! Leave a comment One week until Twelve Days of Turtles! We were so lucky this season to have all 38 of our leatherback turtles adopted and named by supporters of the project! One of those turtles, Lucy McGillicuddy, was adopted by Penny Mabie for her partner, Barb Keogh. We were really sorry to learn that Barb recently passed away. As a lovely tribute to Barb … More In memory of Barb Keogh…turtle whisperer and project supporter..
Leave a comment In memory of Barb Keogh…turtle whisperer and project supporter.. The nesting season is winding down – just a couple of turtles left in the area – we are no longer on night patrols, so we see only their tracks on our morning surveys. But we are out full force to protect nests emerging, to dig up and inventory nests that have hatched and to … More 8 July update – hatchlings everywhere! Leave a comment 8 July update – hatchlings everywhere! 4 June update – nesting peak and hatchling emergences! We are at the point in the season where the miles walked have made our legs strong and our patience immense! We did have a surge in nesting a couple of weeks ago, but now nesting has slowed and we are transitioning into more hatchling protection work. Nesting will continue to taper off now through … More 4 June update – nesting peak and hatchling emergences! Leave a comment 4 June update – nesting peak and hatchling emergences! 15 May update; always surprising! It’s been an epic week here in St. Croix with so many turtles and so many things to update you on! Let’s see, the main lesson is that when you are out looking for turtles, they will show up where you least expect them 🙂 For example the other night, when we were out with … More 15 May update; always surprising! 2 Comments 15 May update; always surprising!